Dr. Wayne A. Grudem has served at Phoenix Seminary as research professor of theology and Biblical studies from 2001-2018, and as distinguished research professor since 2018. SCOTTSDALE, AZ, February 26, 2019 — Marquis Who's Who, the world's premier publisher of biographical profiles, is proud to present Wayne A. Grudem, Ph.D., with the Albert Nelson Marquis Lifetime Achievement Award. 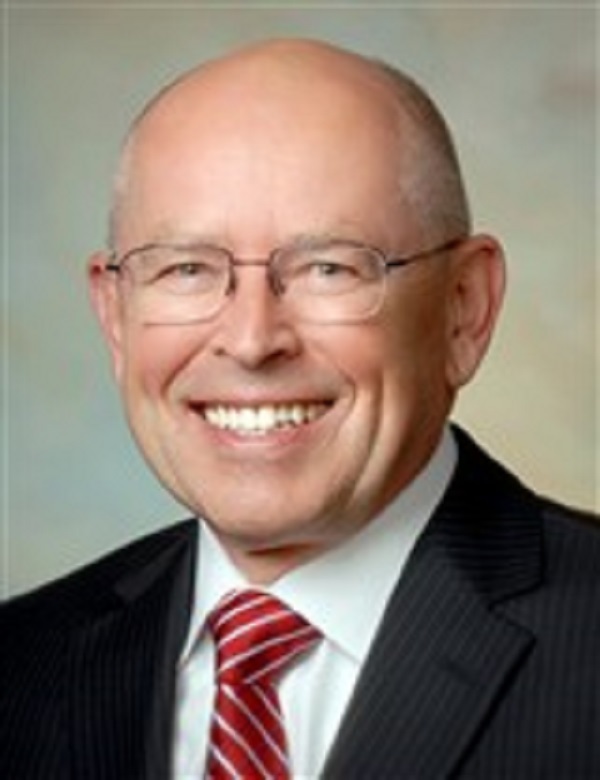 An accomplished listee, Dr. Grudem celebrates many years' experience in his professional network, and has been noted for achievements, leadership qualities, and the credentials and successes he has accrued in his field. As in all Marquis Who's Who biographical volumes, individuals profiled are selected on the basis of current reference value. Factors such as position, noteworthy accomplishments, visibility, and prominence in a field are all taken into account during the selection process. Initially interested in law school, Dr. Grudem earned a Bachelor of Arts in economics from Harvard University in 1970, planning on going into politics. After getting involved in a Christian group on campus and gaining inspiration from Harold Ockenga, a pastor in Boston, MA, he felt called to pursue a career in the ministry and earned a Master of Divinity from Westminster Theological Seminary in 1973. He also earned a Doctor of Philosophy in New Testament studies from the University of Cambridge in England in 1979 and, guided by faith and God, was ordained to ministry by the Baptist General Conference in 1974. Though the highlight of Dr. Grudem's career was his participation in the 12-member Translation Oversight Committee for the English Standard Version of the Bible (ESV), he has significant other accomplishments and professional credits. Commencing his career as an assistant professor of theology at Bethel University in St. Paul, Minnesota, where he served from 1977 to 1981, he went on to serve as assistant professor, associate professor and professor of Biblical and systematic theology at Trinity Evangelical Divinity School, Deerfield, Illinois, from 1981 to 2001. He has then served at Phoenix Seminary as research professor of theology and Biblical studies from 2001-2018, and as distinguished research professor since 2018. Dr. Grudem also served as board president for Christian Heritage Academy, Northfield, Illinois, from 1983 to 1985, president of the Council on Biblical Manhood and Womanhood from 1989 to 1991 and again from 1995 to 1999, president of the Evangelical Theological Society in 1999, and board member of Crossway Books from 2002 to the present. A distinguished writer in his field, he has written and published such works as the best-selling Systematic Theology, as well as The Gift of Prophecy in the New Testament and Today, Evangelical Feminism and Biblical Truth, Business for the Glory of God, Politics According to the Bible, The Poverty of Nations: A Sustainable Solution, and Christian Ethics. He co-edited (with John Piper) Recovering Biblical Manhood and Womanhood and was General Editor for the ESV Study Bible. Dr. Grudem is currently a member of the Evangelical Theological Society and the Tyndale Fellowship. Dr. Grudem received an honorary Doctor of Divinity from Westminster Seminary in 2011. He has also been selected for inclusion in the fourth edition of Who's Who in Religion. Married to Margaret Ellen White since 1969, he is the proud father of three children and grandfather of three grandchildren. In recognition of outstanding contributions to his profession and the Marquis Who's Who community, Dr. Grudem has been featured on the Albert Nelson Marquis Lifetime Achievement website. Please visit www.ltachievers.com for more information about this honor.